Rent a tent in Chicago suburbs. Pretty white tent rentals for your Chicago event is our game. You need a tent, we have your answers. 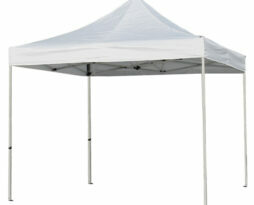 Canopy tent rentals are such a useful tool when it comes to outdoor Chicago events. Our 10’x10′ white canopy tents can be used in so many different ways for so many different functions. 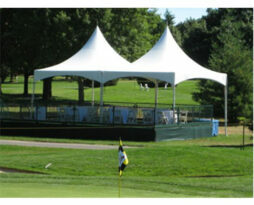 These 10’x10′ canopy tents are very easy to setup and takedown. 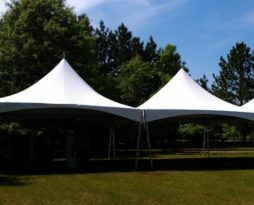 The canopy tent rentals for your Chicago event can be installed on grass, gravel, dirt, asphalt, concrete, or any just about any level or even non level surface. 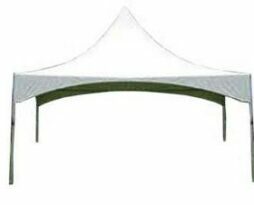 Clients use these canopy tent rentals for Chicago and Chicago suburbs outdoor fairs, outdoor festivals, showcases, anniversaries, outings, picnics, corporate product displays, sporting events, and many other types of events where needing protection from the elements is critical. 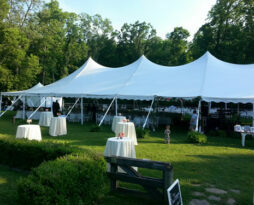 Our 20’x20′ white high peak frame tent rentals can be used in so many different ways for so many different functions. 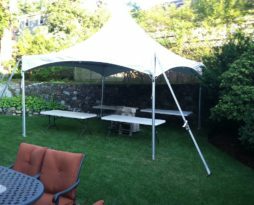 These 20’x20′ white high peak frame tents are very easy for us to setup and takedown. The 20’x20′ white high peak frame tent rentals for your Chicago event can be installed on grass, gravel, dirt, asphalt, concrete, or any just about any level surface. 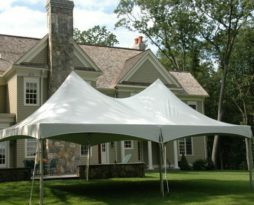 Clients use these 20’x20′ white high peak frame tent rentals for Chicago and Chicago suburbs graduation parties, outdoor fairs, outdoor festivals, showcases, anniversaries, outings, picnics, corporate product displays, sporting events, and many other types of events where needing protection from the elements is critical. 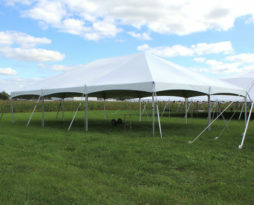 We have larger tents available, please contact us for a custom quote on larger tents. You can add this item to your cart and we will contact you to identify specific needs.